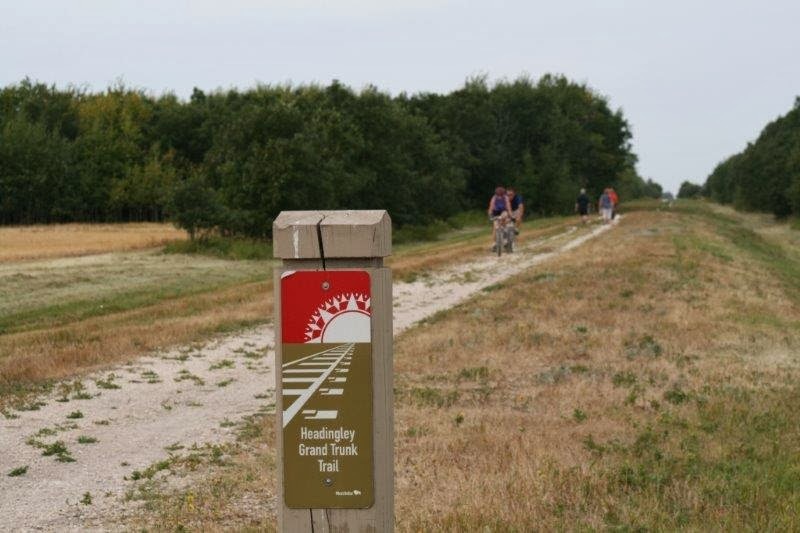 The Headingley Grand Trunk Trail (HGTT), located in Headingley, Manitoba, covers approximately 10 kms along the abandoned CN railway bed, from the Perimeter Highway west to Beaudry Provincial Park. The railway bed, originally built by the Grand Trunk Pacific Railway, was used from 1894 to 1972, when the CN abandoned the line. In 2005, it was converted to the active transportation corridor it is today. The Headingley Grand Trunk Trail Association was founded in 2005 and is managed by a volunteer board of directors. The purpose of the organization is to develop, maintain, and promote its use for recreational and educational purposes for the benefit of present and future generations. Along the trail you will experience three of the major ecosystems of the Prairie region - prairie, wetlands and forest, each with their associated plants, animals, birds, insects and other wonders of nature. Being in close proximity to the Assiniboine River and Beaudry Provincial Park results in rich potential for wildlife viewing. Watch eagles, hawks, shrikes, coyote, fox and deer; cattails, golden rod and wild licorice; oak, aspen and a variety of willows. All are present at various points on the trail. Whether you bike, walk, run, ski, snowshoe, dogsled or horseback, the trail is the perfect setting to get outdoors and get active! Have a rest or just take in the beauty of the trail, on the strategically located benches. We will continue to update the Blog with highlights of the four seasons on the trail.